With its 40m wingspan and an all-up-weight of 20280kg, design of the six 450hp Napier Lion-powered Tarrant Tabor began in the latter stages of World War I. It was intended to carry a 700kg bombload to Berlin from an English airfield. 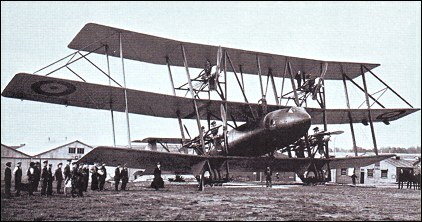 Estimated to have had a top level speed of 170km/h, F 1765, the sole example of the Tabor built, was readied for its maiden flight from the Royal Aircraft Establishment at Farnborough on 26 May, 1919. The pilot and co-pilot selected to make the flight were Captains F.G. Dunn and P.T. Rawlings. For whatever reason, it was decided that the first take-off run would be attempted with only the lower four engines at full throttle. However, as the colossal machine rolled across the airfield, the pilots brought both of the upper engines to full power, causing the aircraft to nose over into the ground and to inflict fatal injuries on both men. "I notice that the Barling bomber built in 1920 is almost similar in design as the tarrant. It was successful in its test flight but was too slow for a plane of that size. Too bad both met undeserved ends, the Tarrant crashinf on takeoff and the Barling junked after it was deemed obsolete." The so-called "Barling Bomber" (Witteman-Lewis XNBL-1) was, indeed, designed by the same man who designed the Tarrant Tabor. 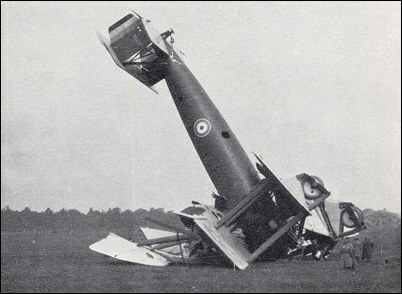 However, in the Barling Bomber, he omitted the upper-wing engines that proved fatal to the Tarrant Tabor. A 3-view appears in Aeroplane Monthly for October 1971, page 278. Does anyone know of the existence of a 3-view of this thing? Possibly a quite elegant aircraft, but a problem of over-engineering left its mark on history again in the blood of brave aviators. But then, I'm more of a HP O/100/400 and Keystone fan. The Tabor was a wonderful aircraft. When passing comment it is useful to place things into historical perspective. The triplane configuration was, apart from being very pleasing to the eye, was the best thing going at the time for a long-range heavy Bomber. There was a suspicion that the levers operating the top engines were misunderstood and that is why sudden thrust was applied when possibly the intention was to throttle back. That is when the disaster occurred. The aircraft left the ground shortly before this happened. The lack of wheel marks proved this wher the `plane left the ground. But the War was over. Two brave men met their deaths. The Tabor is still a beautiful aeroplane. In Goeffrey Regans's book "Flying Blunders" by Guinnes Publishing you can find the story. Yep. a wing too far, really...apparently the Tabor was extremely well-built and would hav been a real winner had the biplane configuration and 4 x 600-hp engines been used. Extravagant design! That one is pushing WWI-era design concepts way too far. That monster has more braces than a bridge. In an era where airplane had no powered controls, self-starting engines or brakes, that ship looked like a crew-killer. Even starting the engines looks dangerous. For long-range bombing, I'm surprised that the RFC didn't experiment with drop tanks fitted under some of their remarkable two-seaters or even to their successful heavy bombers. Perhaps it would not have worked with gravity-fed, low power-to-weight ratio engines of that time. The problem seems not to have been with the size but with the need to change the engine layout and wing structure. Originally this was a 4 engined bi-plane but the intended engines were not available and had to supplanted with 6 less powerful versions, at the same time the third wing was added and that is when the problems came about. Had it been built as originally intended it would have been an elegant typ for the time. This airplane was wonderful ; i whish i had such a one. WG Tarrant shouldn't of even attempted this behemoth in this first place. It was ugly from the start. I wish I could of seen some footage of the flight or at least some pictures. I notice that the Barling bomber built in 1920 is almost similar in design as the tarrant. It was successful in its test flight but was too slow for a plane of that size. Too bad both met undeserved ends, the Tarrant crashinf on takeoff and the Barling junked after it was deemed obsolete. � The Tabor was planned for four Tiger engines, but wound up sporting six Lions. Between each lower wing was a pair of engines mounted back to back. 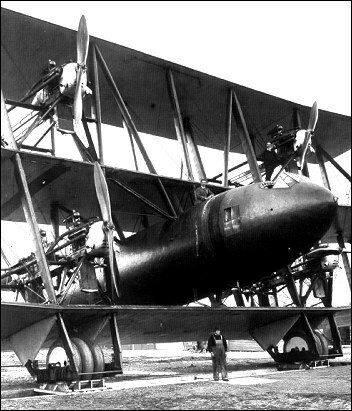 � Unlike almost all other triplanes, the centre wings were longest on the Tabor and these mounted the only ailerons. � The tubular fuselage was wider than that of Concorde, and was largely free of wires and internal struts. It was beautifully streamlined, in contrast with the rest of it.